Deloitte is pleased to announce the appointment of two senior positions at its EMEA Blockchain Lab in Dublin. Anthony Day has been appointed Chief Operating Officer and Antonio Senatore has been appointed Chief Technology Officer. As COO, Anthony will be responsible for advancing the lab’s propositions and capability around blockchain. He will work closely with the firm’s clients and partners to shape disruptive strategies and build blockchain propositions that can transform the way clients do business and create value. Antonio will focus on technology research, the technology roadmap, the lab technical architecture and infrastructure definition, as well as the lab technical operating model and partnerships. Antonio is also the CTO of the Deloitte Global Blockchain team. 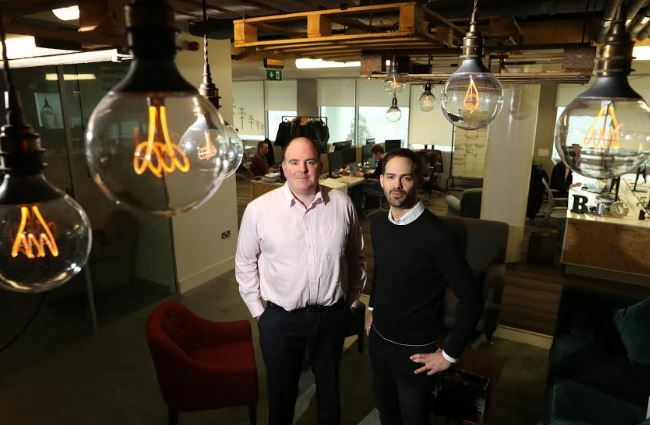 The Dublin-based lab serves as the Deloitte EMEA centre of excellence in blockchain. Since it opened in 2016, the team at the lab has worked with over 100 clients in both delivering blockchain proof of concepts and solutions in addition to exploring the potential blockchain has for their organisations. Areas that the team have explored the use of blockchain in include Know your Customer, regulatory reporting, professional certification, trade finance and commodity trading. Anthony Day joined from Deloitte UK in 2015 as Head of Digital Strategy for the Irish firm. Throughout this time at Deloitte, he focused on customer, digital and innovation strategy engagements, with a particular focus on financial services. Before Deloitte, Anthony spent 10 years at Monitor Group, the global strategy firm now known as Monitor Deloitte. Anthony holds a BA in Logistics & Supply Chain Management from Northumbria University and as MSc in e-Commerce Applications from the University of Sunderland. Antonio has over 15 years of professional experience in the IT industry, ranging from software development, technical, enterprise and data architecture, big data architecture and strategy, data warehousing and advanced analytics, blockchain and cryptography. In addition to working with Deloitte, Antonio has also worked with Deutsche Bank, Newbay Software, Mobile Aware and Accenture. He holds a BSc in Computer Engineering from Politecnico di Milano.